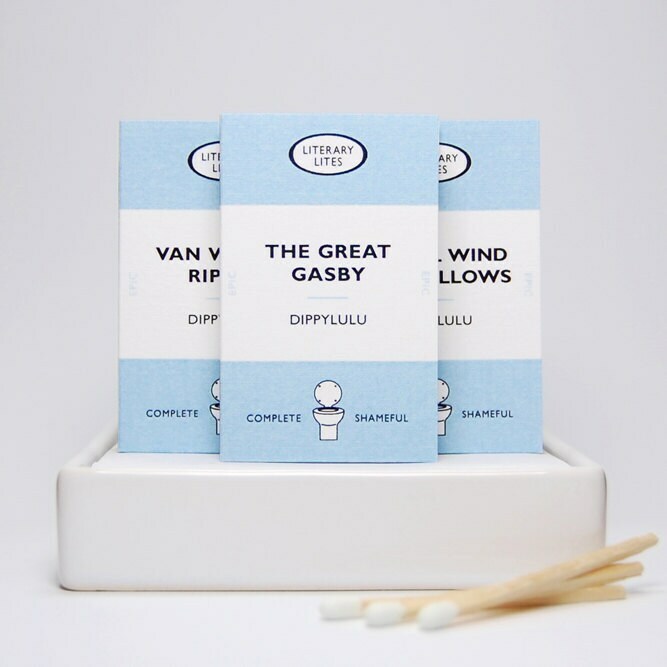 If reading is your choice, then you will want to surround yourself with these Literary Lites matchboxes. Not only do they celebrate fine literature, but they also provide consolation and a refuge when the air hangs heavy and thoughts turn earthward. This collection is surely worthy of the finest reading room. 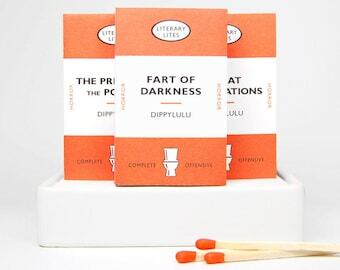 Stocking stuffer humorous gift matchbook set of Literary Lites VI. 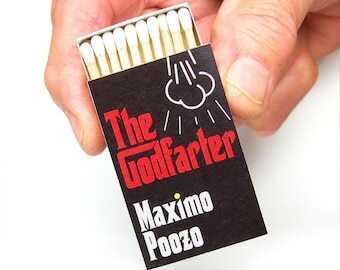 Funny gag gift. Items just as described. Funny and cute. Great stocking stuffer.